TIGERS’ NEW FRANKFURT OFFICE: Its third in Germany, the facility offers the full range of Tigers’ core services. Tigers Germany expands group’s footprint ahead of the global launch of eShop. Tigers’ new Frankfurt office supports the group’s global freight growth strategy. Tigers’ new Frankfurt office to act as a gateway for Europe by creating air freight consolidation products. Tigers has opened a new office at Frankfurt Airport, Germany, to support the group’s global freight growth strategy, and to act as a gateway for Europe by creating air freight consolidation products, starting with the trade lane between Germany and South Africa. The new office, the group’s third in Germany, is headed by Marc Acksteiner, and offers the full range of Tigers’ core services, including international freight forwarding and Customs brokerage, as well as its pioneering EU-China rail freight service, Tiger Rail. Tigers is gearing up to the global launch of its online marketplace, the Tigers eShop, which will optimize its ecommerce offering to B2B and B2C customers worldwide. 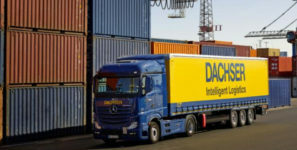 The group’s Cologne ecommerce fulfillment center, as well as its eTigers facility in Rotterdam, have both doubled in space in less than a year due to increasing demand. “The new Frankfurt office will boost our global offering, especially in the key verticals and markets, and help strengthen commerce between the two regions,” said Paul Lawrence, Managing Director, South Africa, Tigers. The Hong Kong-headquartered supply chain specialist has opened a number of offices and warehouses worldwide this year, including in Riverside, California, Dallas, and Shanghai to support the global launch of its eShop.